We provide you with Interior Styling, Design & Decorating solutions. 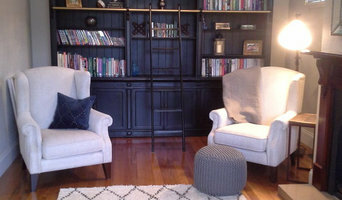 Miss G Interiors can help you improve and transform your interior space. We aim to understand and interpret a persons needs, wants and personality in a home, through interiors. We can assist you by saving you time and stress, while being as cost effective as possible. Silvia Roldan Interiors is a boutique Interior Design, Decoration and Consulting studio providing design, decorating and styling advice for residential, commercial and retail projects. We create unique, colour filled interiors with a focus on quality craftsmanship and original design. Our designs are tactile, warm and layered palettes of materials, finishes and furnishings that create the perfect interior. 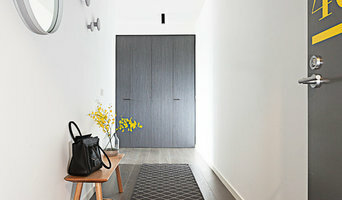 Our studio is available for consultation, design, styling and project management for projects of all sizes and budgets. Tragardh Interiors is a Melbourne based company run by Felicity Tragardh who has 20 years experience in transforming spaces on any budget. Meredith Lee can help you with your residential, small scale commercial and retail projects. Our philosophy is that great design should reflect the personality and improve the lives of those who inhabit the space. Artique Interiors is a small Interior decoration and design business specializing in domestic spaces. Artique Interiors is also the sole Colour consultant used for Stroud Homes clients (North & North West offices). Artique Interiors has also undergone the fit out of the Stroud Homes Display. 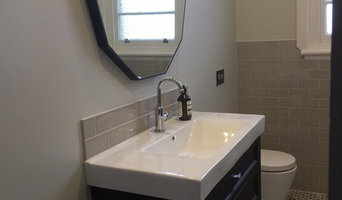 Artique Interiors prides itself on giving the client a space they a comfortable in and will love for years to come. “Building relationships with clients is paramount to achieving satisfying results.” Working collaboratively with our clients allows us to not only fulfill their brief but deliver interesting and unique interior and design solutions. We work on both commercial and residential spaces and can consult on styling a tired space right through to total design solutions for new or existing spaces. Call us for a no obligation free appraisal - we don't charge a call out fee and your first consultation is free. 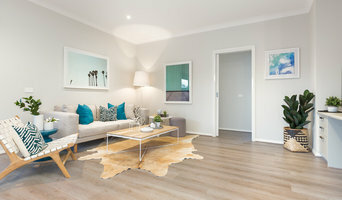 Scarlett and Beau Interior Design SOPHISTICATED - LUXE - CUTTING EDGE Based in Canterbury, Melbourne, Scarlett and Beau provides tailored contemporary interior design services. Established by Sarah Thorpe, who has been actively involved in the Australian Property market for the past 11 years, we specialising in renovations, including new builds, and residential developments. We can also provide services for individual rooms and external finishes. Every project is unique, so we will discuss your individual requirements and tailor a package that suits your needs. Please contact our Director, Sarah Thorpe, for a complimentary initial consultation of your home. 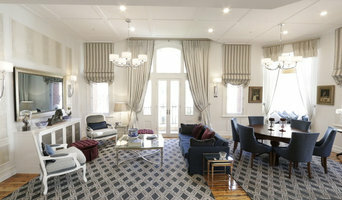 GarMac Studio is a Melbourne based interior decorating consultancy for residential clients. We create practical, comfortable and affordable spaces to suit our client’s lifestyles, needs and budgets. We cater for all budgets, in fact our philosophy is that good design should be available to all. We place an emphasis on understanding the needs of our clients. Our collaborative approach ensures that each individual project, from concept to implementation, reflects the personality and lifestyle of our clients, whilst still maintaining our design integrity. I believe everyone deserves love, good fortune and good health. I believe everyone can benefit from feng shui. I believe I can help you attract and maintain positive energy and prosperity to live a happier and more fulfilling life. Feng Shui can have a significant impact on your life, one that will benefit your relationships, financial position, health and well-being. An environmental healer, I also conduct Geomancy treatments (very effective for health issues), Space Clearings (to remove ghosts and or negative energies), and Home Blessings. P.S. I put together a great 17 page article of free feng shui tips for your home. Visit this link <a rel="nofollow" target="_blank" href="http://www.sacredfengshuidesign.com.au/essential-feng-shui.html">http://www.sacredfengshuidesign.com.au/essential-feng-shui.html</a> to download your copy of Essential Feng Shui today. I also have an office at Qi Crystals in Caulfield (watch my video <a rel="nofollow" target="_blank" href="https://www.youtube.com/watch?v=oKD2QAz-Fms">https://www.youtube.com/watch?v=oKD2QAz-Fms</a>) Pop in for a free cuppa and we can discuss your feng shui design. Hampton & Bayside Leadlight is a Melbourne based Stained Glass and Leadlight specialist studio, with Studios in Hampton East and the Macedon Ranges. We specialize in the Creation of New Windows and the Repair, Restoration and Conservation of Existing Windows. We pride ourselves on bringing the highest quality craftsmanship to a broad range of styles and subject matter including Traditional & Contemporary Domestic Leadlight Windows, Ecclesiastical & Heritage Stained Glass Windows, Privately Commissioned Artworks and Small or Large Scale Architectural pieces for Community and Public spaces. Our aim is to restore and create top quality pieces of artwork ensuring the preservation and continuing innovation of Stained Glass and Leadlight in Australia. We service a range of areas including East Melbourne, Albert Park, Middle Park, Carlton North, Cremorne, St Kilda East, Abbotsford, Carlton, Fitzroy, Port Melbourne, South Melbourne, Windsor, Princes Hill, South Yarra, Collingwood, Richmond, Fitzroy North, Prahran, Sandringham, Hampton, Brighton, Beaumaris, Blackrock, Malvern, Toorak, Armadale, Williamstown, Mount Macedon, Macedon, Gisborne, Elsternwick, Elwood, Northcote, Kew, Balwyn, North Balwyn, Canterbury, Caulfield, Camberwell, Surry hills and more. Glamourous Interiors can help you realise your home’s full potential by producing stylish yet practical interiors complimenting your lifestyle needs and personal tastes. With our years of local and international experience, knowledge of current products, access to quality tradespeople and creative flair we eliminate the overwhelming nature of the project so that you are free to enjoy the building, renovating and decorating process. David McMullen is a Melbourne based Interior Designer who heads up the team at David Mac Interior Design. David established David Mac Interior Design in 2010 with a primary commitment of achieving great design outcomes whilst at the same time making the experience enjoyable and “keeping it real”. To assist him in the business David has gathered a small support team, whose core values match his own. David is convinced that his greatest inspiration for successful design outcomes come from the unique collaboration that occurs between designer and client. Establishing solid relationships based on easy communication and trust is without doubt the heart and soul of the business. David is equally passionate about gearing his advice to suit each clients’ specific ideals. This may range from those who want to make a statement and express their personality in a room, to those who want to slip into their personal space like an old jumper and trackies and relax. Living By Design starts by investing time to get to know you and what’s important to you. How do you like to live? What are your favourite things to do with family and friends? How do you see yourself living in 5 to 10 years? All very important questions for a beautiful custom made design that reflects you and your lifestyle. Living By Design is an experienced interior design firm, committed to creating original and individual interiors of quality that stand the test of time. We work very closely and collaboratively with our clients towards stunningly creative, innovative interiors – be they residential or commercial. Our spatial design approach comprises of a broad range of services from property styling, interior design, to complete structural indoor/outdoor configuration. Having designed stunning homes around the world and experienced many cultures and styles, we believe that space and style must fit your life – finding this match and bringing it to life, is what drives us. Many designs and styles can be quite stunning, but if it doesn’t suit the way you live, and reflect who you are, then it’s not necessarily a good fit. If you want a stunningly unique design that is a true extension and expression of who you are and what you value, we’d love to talk with you.